Don White, DC, is a Chiropractor specializing in injuries and conditions of the spine and musculoskeletal system. He provides outstanding care to the community of Fort Worth, Texas, at River Oaks Chiropractic Clinic. Dr. White is committed to helping free his patients from pain and to lead a healthier life. Through Chiropractic adjustments, active rehabilitation, and lifestyle counseling, he relieves pain, restores function, and promotes wellness and an enhanced quality of life. As a second-generation chiropractor, Dr. White has been a Chiropractic patient for most of his life. From an early age, he experienced the power Chiropractic has to heal injuries and improve wellness across all of the body’s systems. 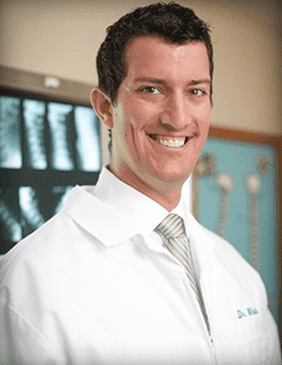 Dr. White earned his Chiropractic degree from Parker University in Dallas. His lifelong dream to practice with his father, Dale White Jr., DC, became a reality when he joined River Oaks Chiropractic Clinic in 2014. He is also proud to practice alongside his wife, Valerie Fletcher, DC. He and Dr. Fletcher have one son.